Cleaning House Is No Game, Or Is it? Cleaning House Is No Game, Or Is it? Join us to get your home ready for the holidays! A clean house is a happy house! I was picking up the house this morning, stewing over what I needed to do for the day to be productive yet still have time for some family fun and thought to myself today should be a game day. 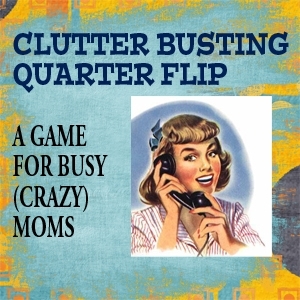 So to kick-off the cleaning portion of our Holiday Shine Challenge we are going to play a few rounds of Clutter Busting Quarter Flip. I kept asking myself this morning. 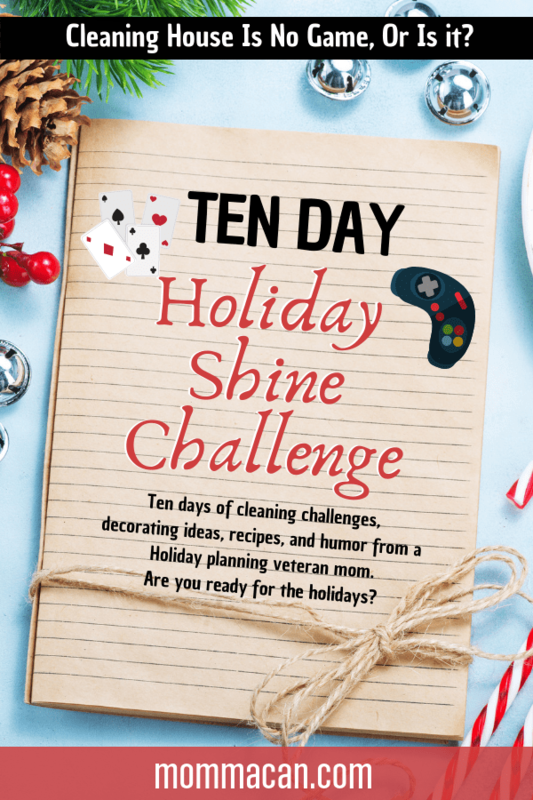 What can I do to make these Holiday Shine Challenges Fun! So TADA! A Game! And to keep you on track: Here is a list of rooms to do during the game. Bedrooms- Everyone who plays clutter-busts their own room. Car- I put the car in this game today because if the family pitches in the, one person per door, you could have the whole car tidied in 5 minutes or less! 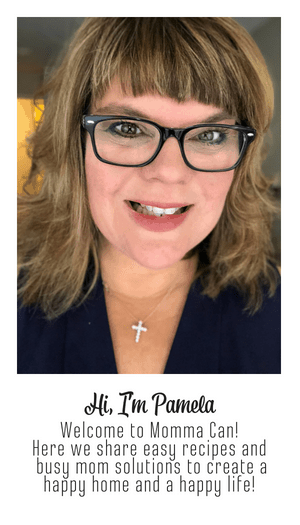 Hey, sweet busy mommas! If you are new to the Holiday Shine Challenge Find the kick-off page here. And grab your fee holiday shine printables in our Amazing Resource Library!